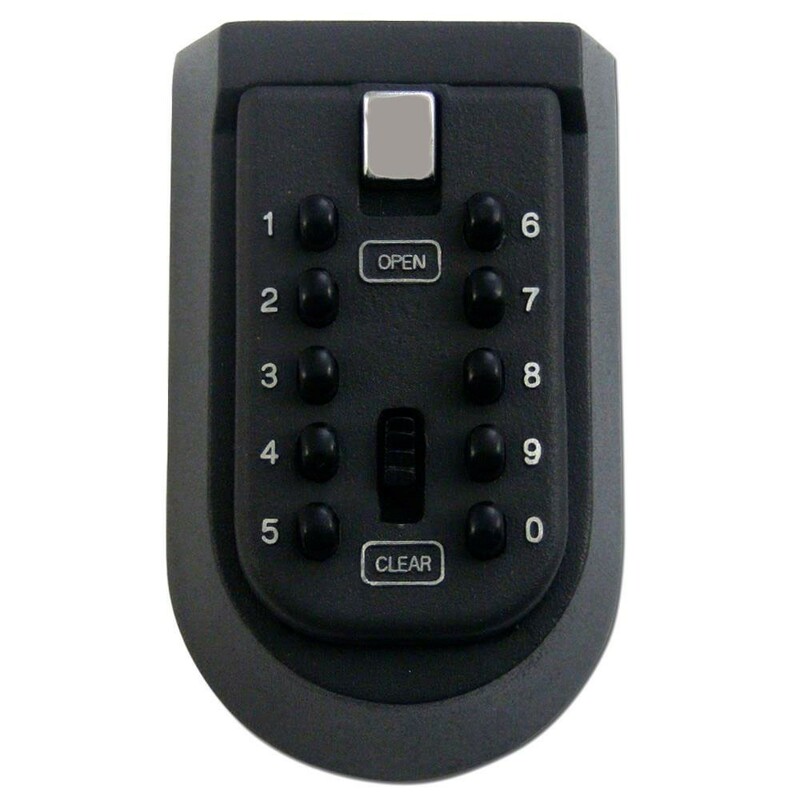 The Asec Key Safe is a robust box with a digital lock designed to store keys in the event of a lock out. It can hold 4-5 cylinder keys or 1-2 mortice keys and is supplied with a weatherproof rubber cover. It is an ideal solution for many applications including emergency access, children, relatives, care workers, cleaners and many more.